ALEXANDRIA, Va., Feb. 5, 2019 /PRNewswire/ -- Systems Planning and Analysis, Inc. (SPA) is teaming with Factom, Inc. to explore the application of blockchain technologies to Department of Defense (DOD) and federal customers. "I am excited about our partnership with Factom and I believe that our two organizations represent a unique blend of analytic-based consulting expertise along with information technology and blockchain-based solution development," said Dr. William Vantine, SPA President and CEO. "Paul Snow and his team at Factom are leading providers of blockchain-as-a-service and are uniquely positioned to grow in the defense industry through their work with the Department of Homeland Security," said Matt Ives, Director of Business Operations for Surety Programs Group at SPA. "At SPA, we take immense pride in providing cutting edge and the highest caliber solutions to our customers. Teaming up with Factom is a rare and extremely compelling opportunity to continue with this tradition." Factom provides the business models and process to enable any enterprise solution to take advantage of the enhanced data integrity and assurance blockchain can provide. Factom offers state-of-the-art data integrity and trust solutions using blockchain and electronic signatures, assuring that recorded data has not been altered. By increasing the value of stored data and automating data assurance models, Factom provides tools that are smple to integrate and operate by any enterprise or service provider. "We are looking forward to the unique opportunities that become available through this joint effort," said Paul Snow, CEO of Factom. He went on to summarize that the Factom® Blockchain is well positioned to support the incredibly large opportunity for blockchain technology within the government segment. "Integrity of data in any form is a perfect use case for blockchain and we look forward to applying our independently verifiable, proof of record systems with SPA." SPA's intimate knowledge of its DOD and federal customer's challenges coupled with Factom's blockchain technology solutions offers a significant opportunity to help transition blockchain from a buzzword into actionable solutions that improve efficiency and security for key federal organizations. Headquartered in Alexandria, Virginia, Systems Planning and Analysis, Inc. provides timely and objective analysis and integrated technical, operational, programmatic, policy, and business solutions in support of important national objectives. Our employees have expertise in an array of domains including: Air, Surface, and Undersea Warfare and Operations, Nuclear Deterrence, Safety, and Security, Radar and Sensor Systems, Ballistic Missile Systems, Integrated Air and Missile Defense, Intelligence, Surveillance, and Reconnaissance Systems, Space Systems, Improvised Threats and Analytic Software Development. To learn more about SPA, please visit www.spa.com. Factom, Inc. is an Austin-based blockchain technology company that is on a mission to provide blockchain data provenance for complex industries. Factom specializes in building scalable blockchain technology to handle complex enterprise data and volume. Factom is the recognized leader in providing blockchain solutions in order to preserve, ensure and validate digital assets. 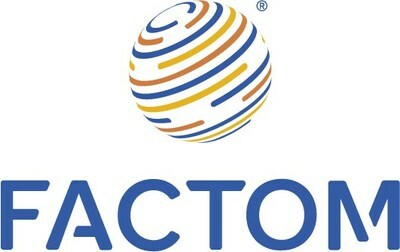 For information, please visit factom.com. SOURCE Systems Planning and Analysis, Inc.
Social media is impacting the value of your cryptocurrency. This cross-platform audit will show how to improve consumer and influencer sentiment. Powered by Technology Marketing Corp. © 2019 Copyright.